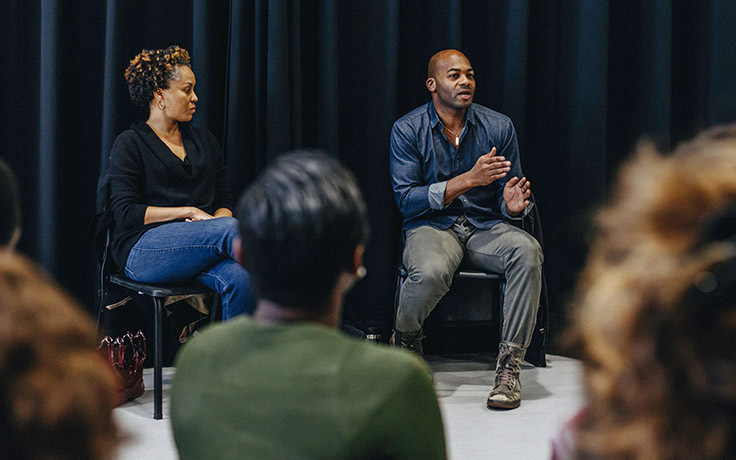 Krisha Marcano brings to the UNCSA School of Drama a personal and individual approach to teaching dance to actors—offering tools, guidance and support. With an abundance of theatre credits and many years of professional dance training, she helps her students to discover their individual paths to success. My curriculum provides students with technique, style, a love of movement and as much industry best practices I can provide. In the field, my students will have a greater skill set than is expected, a better work ethic than is tolerated and a level of fearlessness that will be surprising.